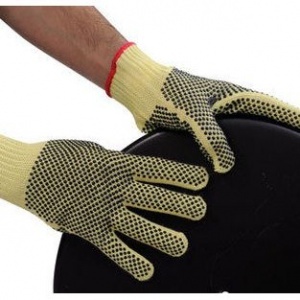 The Polyco Touchstone Grip 100% Kevlar Cut Resistant Glove is a medium weight knitted Kevlar glove with PVC dots for extra grip. 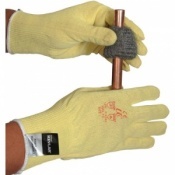 Kevlar has an inherent strength and offers high cut resistance to weight ratio, delivering a safety glove which offers exceptional performance. The Polyco Touchstone Grip 100% Kevlar Cut Resistant Gloves protect against cuts, slashes and abrasion. 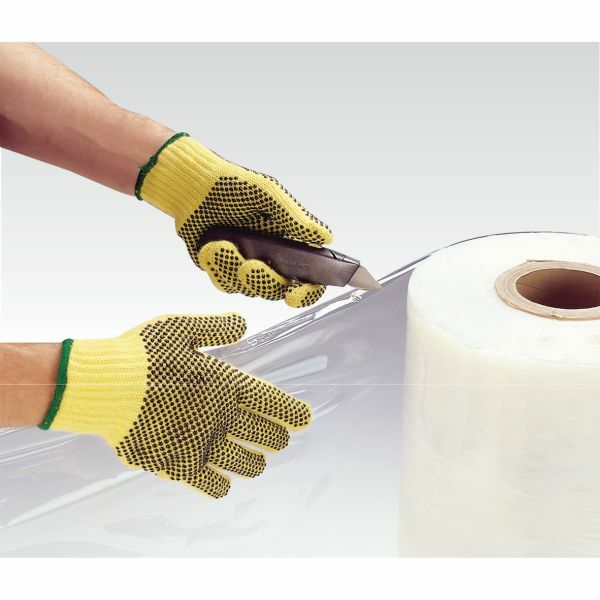 These Kevlar gloves are seamless, soft and extremely comfortable, which allows for prolonged use without causing irritation. 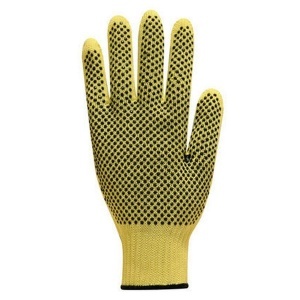 The Polyco Touchstone Grip 100% Kevlar Cut Resistant Gloves have a close fitting design which also makes it extremely dexterous. 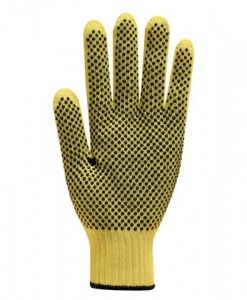 With PVC dots applied to the entire hand surface area, these safety gloves provide excellent gripping ability to ensure safe and secure handling at all times, and is ambidextrous increasing the lifespan of the Kevlar glove. 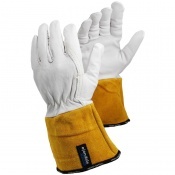 The Polyco Touchstone Grip 100% Kevlar Cut Resistant Gloves are sold in pairs.